We traveled to Kenya with two of Kelly's grandchildren, Jayde (15) and Jackson (13) Contreras. 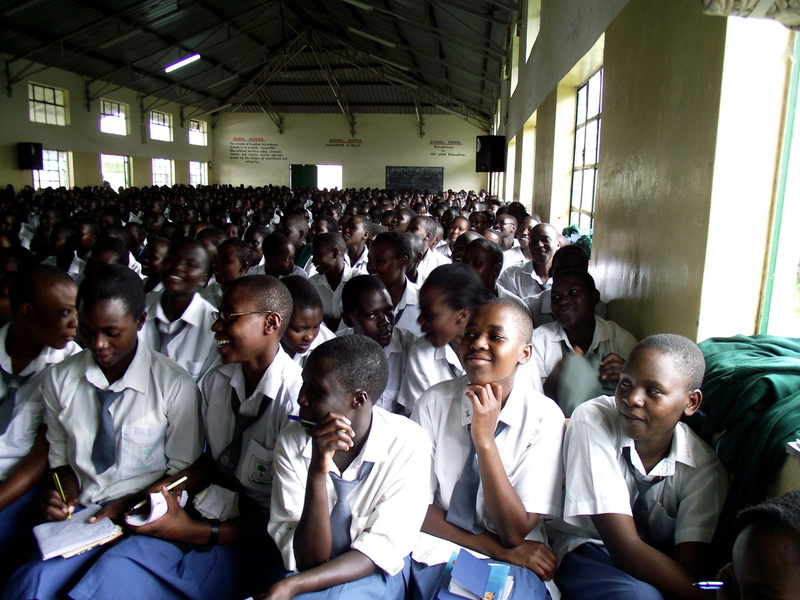 It was how the Spirit orchestrated this mission, which was clearly focused upon the youth of Kenya. Jayde, Jackson and Kelly all taught for two days at the Weekend Challenge of the Nasokol Girls Secondary School. ​There were 1100 girls in attendance and lives were most certainly changed as Jayde taught them about purity and abstinence, Jackson challenged them to keep the 10 commandments even in our modern day, and Kelly spoke to over 2,000 people on Sunday about how Kenyans are also a part of the Restoration of all Israel. The hike up into the northern mountains of Kenya to the little village of Akeru was challenging indeed, but we made it, and were so thrilled to be greeted by over sixty small children, who live up there in abject poverty. There was nothing in the village but a school with a dirt floor and a tiny church. The children greeted us with welcoming songs and dancing, and we were so blessed to interact with them and bless them with finances for food, clothing, and school supplies. Just before leaving Akeru, a woman approached Kelly and asked for prayer for her little daughter. The tiny girl could not stay standing, and kept falling into the dirt, vomit coming from her mouth. She told us the girl had malaria and we knew she didn't have long to live, but no vehicles could reach the village and no medical treatment was possible. ​We anointed her with Frankincense oil and prayed for her. The next day the headmaster of the school phoned to tell Rev. Samuel the little girl had completely recovered. All glory to God! Our final weekend was spent in Nairobi at the Open Blessing Ministry, where Kelly again reunited with her friend, Pastor Leah Macharia (who is now Bishop of the church). This Spirit-filled congregation blessed us with powerful worship and we were so excited to be there on the day of Shavu'ot! At the request of Pastor Leah, Kelly brought teaching about the Feasts of the LORD and the Aaronic Blessing. 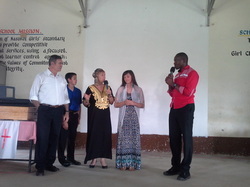 ​She is pictured here with Pastor Sakwa, who served as an anointed interpreter of the teachings. How exciting it is to see the people of Kenya wake up to their part in the Covenant and Inheritance of Israel!